Jamis jumped head first into the 650b wheel platform five years ago. It wasn't until 2011 that they decided to start making 650b hardtails. Back then, they were unsure if the Nemesis, an aluminum XC 650b hardtail, was really going to appeal to today's mountain bike crowd, but they went with it. Three years later, the Nemesis turns out to be a lot more popular than they had ever expected! Good thing Jamis was committed to 650B, and they were willing to take some chances. Now, the Nemesis lineup includes five models, and everyone can afford to get into this new cross country racing hardtail demon of a bike. The Nemesis Race is a shop favorite this year. At $1900, its a steal. 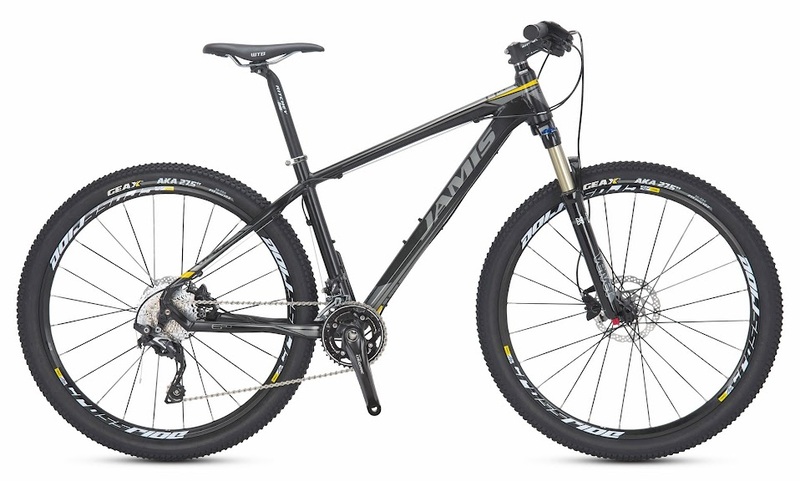 Its got the Nemesis geo in Kinesis aluminum, with a tapered headtube, and front and rear thru-axles; on a hardtail! This bike just corners on rails. The Nemesis Team model takes the cake this year for most awesome hardtail, ever. Its a carbon frame, with SRAM 1x11, and it comes in under 20lb. and it will set you back $6000.